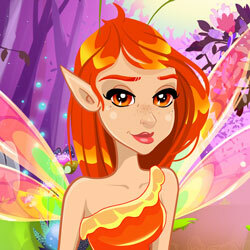 Description: The Faerie Queen of Fire is in need of a style makeover! Can you help her? She'd love to try on new clothes, inspired by the colors of nature and you can even magically change her wings to match the new style! Have fun!